Microsoft's Application Lifecycle Management (ALM) makessoftware development easier and now features support for iOS,MacOS, Android, and Java development. If you are an applicationdeveloper, some of the important factors you undoubtedly considerin selecting development frameworks and tools include agility,seamless collaboration capabilities, flexibility, and ease of use.Microsoft's ALM suite of productivity tools includes newfunctionality and extensibility that are sure to grab yourattention. 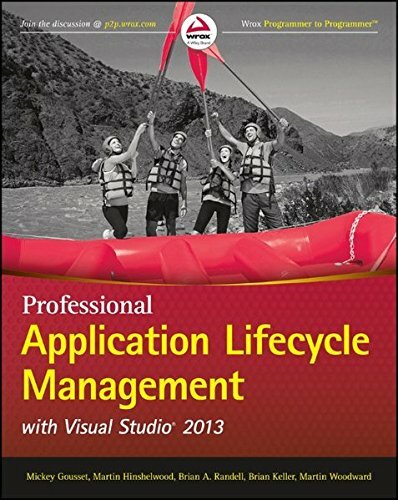 Professional Application Lifecycle Management withVisual Studio 2013 provides in-depth coverage of these newcapabilities. Authors Mickey Gousset, Martin Hinshelwood, Brian A.Randell, Brian Keller, and Martin Woodward are Visual Studio andALM experts, and their hands-on approach makes adopting new ALMfunctionality easy. Professional Application Lifecycle Management with VisualStudio 2013 provides a complete framework for using ALM tostreamline software design and deployment processes usingwell-developed Microsoft tools and methodologies. ProfessionalApplication Lifecycle Management with Visual Studio 2013 isyour guide to make use of newly-available ALM features to take yourenterprise software development to the next level.